Can everybody benefit from reflexology? 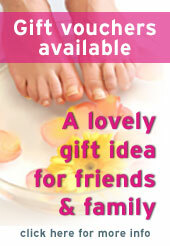 Reflexology is suitable for all age groups including pregnant women and children. After having completed a course of reflexology to help support you through a specific condition, many people find it beneficial to continue with regular treatment in order to maintain optimum health. Reflexology helps relaxation, improves mood, aids sleep, helps to relieve tension and improves sense of wellbeing. Reflexology is one of the UK’s most popular therapies.